If you are looking for a Myrtle Beach golf course for your next golf tournament or group outing, look no further than MB Golf. With over 100 courses to choose from we can easily accommodate tournaments of virtually any size. With the experience of our professional staff to help with the planning and execution of your event, your success is assured. Our mission is to provide quality service and great value and our staff is dedicated to this. 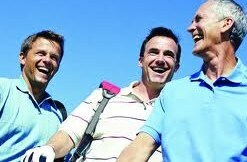 Every year, thousands of people come to us to assist them book their Myrtle Beach golf and accommodations. We have a wide selection of courses and luxurious oceanfront condos, beach homes and golf course villas to choose from. If you just want to book tee times, we have the best deals on Myrtle Beach tee times and multi-round packages. You’ll be happy to know that our accommodations are conveniently located close to the most popular Grand Strand attractions and entertainment venues in the area, ensuring your group has a great time both on and off the course. As the foremost and most trusted name provider of Myrtle Beach golf vacations, we will beat or match any comparable advertised Myrtle Beach package price and we guarantee it. Call us today at 800-422-1587 and let our highly knowledgeable and friendly staff help you choose your golf package and course selections. When you book your golf vacation with us, your trip will be both a great value and a great time!